Get an on-trend layered look this season with the Oska Undula waistcoat. Crafted from pure virgin wool, the waistcoat offers a luxurious snug feel and is an essential warming layer to see you through the colder months. 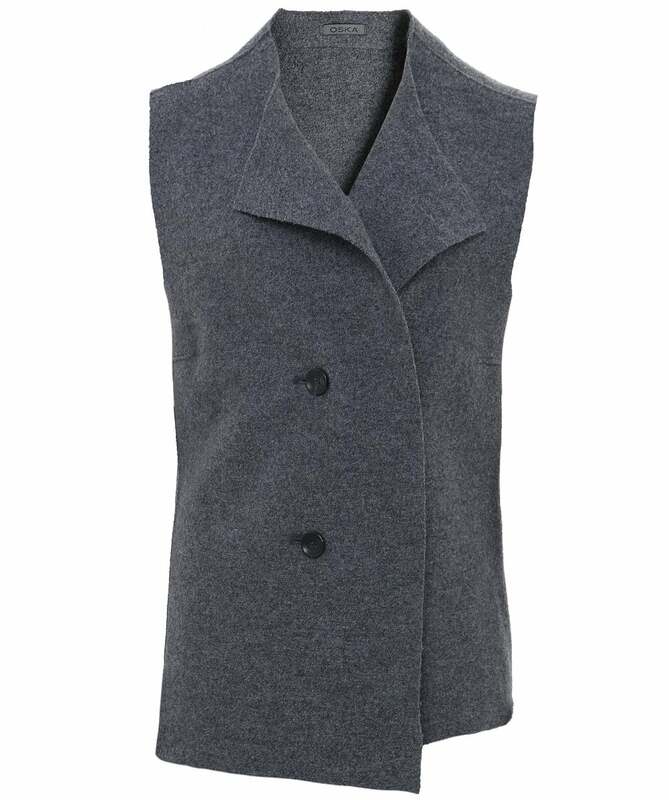 Featuring a tortoiseshell button fastening, side and rear vents and seam detailing throughout for a dimensional look, the Oska waistcoat can easily be layered over a long sleeve top and relaxed trousers for a chic laid-back ensemble.